Faculty in the Department of Earth and Planetary Sciences study the past, present, and future of the Earth and other planets. 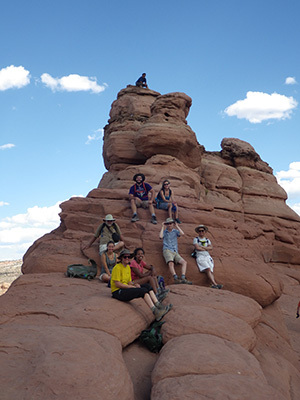 Course content within the degree program focuses on physical, chemical, and biological processes spanning diverse spatial and temporal scales, from the atomic to interplanetary and from the modern-day to the origin of the solar system. Earth and planetary scientists address fundamental scientific questions important for understanding the Earth and society's connection to it. Our degree program prepares young scholars for a variety of careers in the earth sciences and beyond, including graduate study, as well as professional employment in environmental consulting, energy exploration and production, natural resource management, law, and medicine. As a major you will have opportunities to be involved in the full spectrum of departmental activities beyond class work, including research, seminars, field trips, and social functions. Many undergraduates do research projects with faculty and graduate students that lead to honors theses and scientific publications.